Captain Kim Bauder (12) will provide veteran leadership for a Cascades squad which is aiming to continue its ascent in PACWEST. 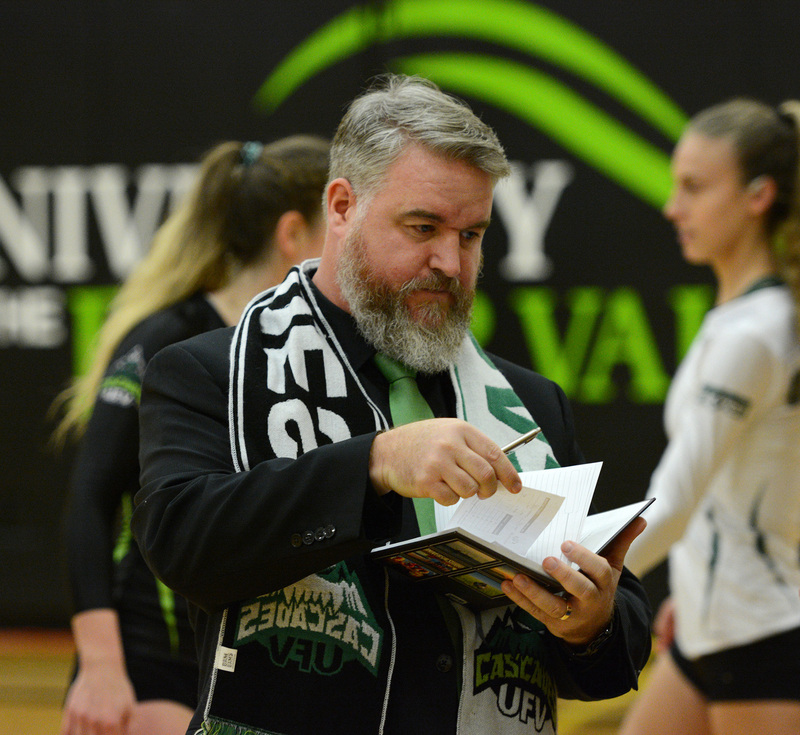 The Cascades women’s team can look back at last season in a couple different ways, depending on whether they’re in a particularly glass-half-full or glass-half-empty mood. On one hand, head coach Mike Gilray’s squad can take pride in the fact that they finished third in the PACWEST regular season (13-11), and secured the program’s first conference medal (a bronze) since 2013, when they swept the PACWEST conference and CCAA national titles. Then again, it stings to have fallen one win short of a trip to the national championships for the first time since 2013. So to summarize, it’s clear that the Cascades are a program on the rise, but there’s still work to be done. Head coach Mike Gilray is heading into his fourth year with the Cascades. As Gilray surveys his roster, he sees depth at every position, starting on the left side where the Cascades return a pair of 2017-18 PACWEST all-stars in Kim Bauder (second team) and Amanda Matsui (first team). Fifth-year captain Bauder and sophomore Matsui are a dynamic and versatile duo – they were among three players in the league last season to finish in the top 10 in total offence, kills, aces, and digs. Fourth-year Chelsea Kidd will also be a strong contributor on the left, and rookie Kristen McBride has a lot of potential. In the middle, the Cascades graduated longtime standout Monique Huber, but third-year Hanna Hieltjes and fourth-year Keira Fisher are ready to step up as veteran leaders. 6’3” sophomore Lauren Poirier is also primed to contribute, and rookie Alysha Cooper brings dynamic athleticism to the position. On the right side, sophomore Lexi Edwards and rookie Kate Widman are battling for playing time. 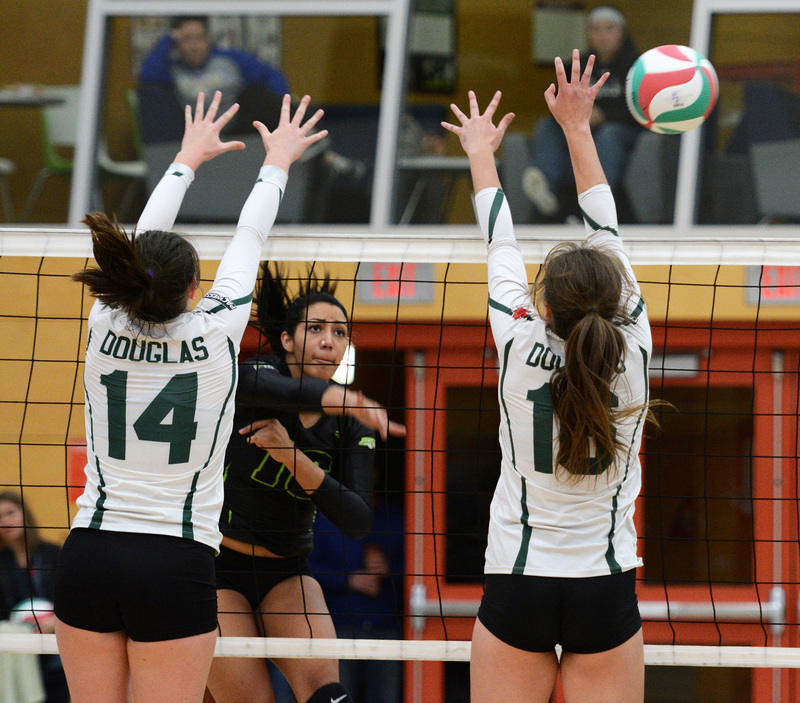 Third-year Kara Williams spent a lot of time on the right last season, but she’s moving over to setter this fall, where she’s being pushed by rookie Zoe Flowers. At the libero spot, last season’s starter Cassidy King is back, with sophomore Karissa Marazzi and rookie Stephanie Demeules pushing for playing time both at libero and as defensive specialists. Keira Fisher has emerged as a solid contributor in the middle for the Cascades.